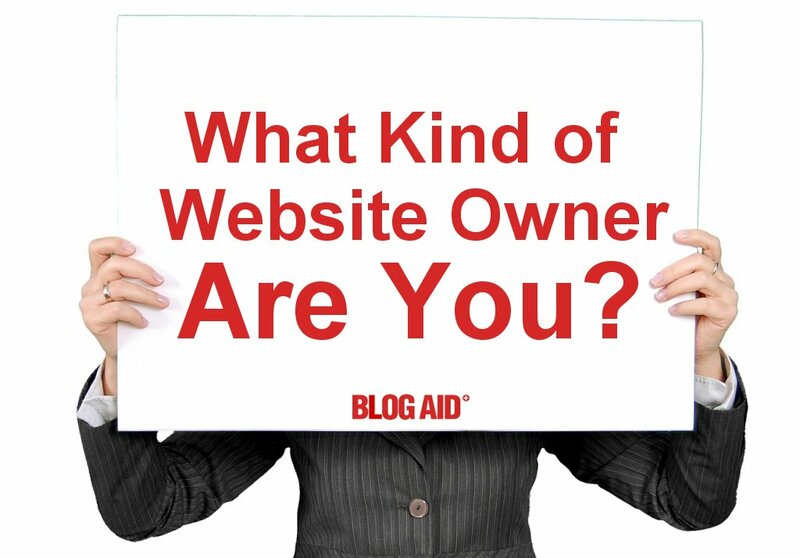 What Kind of Website Owner Are You? Being a DIY site owner is more challenging than ever now. Gone are the days of cheap hosting and hands off maintenance. WordPress, security, performance, SEO, conversion, and social media integration have all become more complex, and all simultaneously. It’s getting too much to keep up with. Maybe it’s time to rethink your role in site ownership and whether you can afford to keep doing business as usual. In one of my open Q&A Blabs the other day, my colleague +Zara Altair asked a simple question. And that’s what inspired me to write this post. Site ownership is a journey. You learn and grow as you go. These are the mile markers I see WordPress site owners come to along the way. All of my clients are the middle two site owner types of mostly to little DIY. They are hands on with their site in some way and have a business mindset. They understand the role their site plays in the success of their online business and they are willing to invest in their education and tech help. The Mostly DIY folks hire me to do a site audit for them. And they return for periodic checkups. They also stay informed by following me regularly by subscribing to my newsletter and blog posts and on social media such as Google+ , Twitter and Blab. By doing these things they have a clean, secure, high performing site, and they know how to keep it that way. The Little DIY folks hire me or my team members to do full site management for them. They stay informed. Plus, they want to leverage new technologies and have them integrated into the site. Webmaster duties are proactive. Site updates and checks are performed regularly. And, I keep on top of the news and bring a distilled version of it, plus innovations, to their attention. Plus, I’m on hand for any additional support needs and site additions. It’s personalized service. But it is not a full-time staff position, so is more affordable. The other two site owner types may elect to purchase either managed hosting, or hire full-time staff. They can be mostly or entirely hands off with all regular site chores. But, this type of service is not cheap. And it’s not personalized. Managed hosting services can take care of a lot of the tech, as far as security and upgrades. But that’s about it. They do bulk updates, whether that breaks your site or not. And they are not proactively involved in making your site better. That duty is still up to the site owner. Plus, there can be restrictions with the plugins used and such too. Both managed hosting and dedicated staff are pricey. However, they do keep most site owners completely hands off. And if that’s the goal, it fits the bill. As super duper as WordPress is, it is not the right fit for all site owners. then perhaps another platform like Blogger would be a better fit for you. There is no maintenance or upkeep. You can still have your own domain. And themes can be customized to look great. So, back to Zara’s question. When do you know that you need to hire site help. then it’s time to consider bringing in qualified help on a regular basis. Site maintenance consists of regular updates and checks to the site, and additional support when requested. Site management is hiring someone to give more personalized service and be proactive with your site needs. And, to keep you informed at the level you request about major changes or innovations. For those moving from new site owner or total DIY site ownership, and are now serious about giving this online business thing a go, the very best investment you can make is to hire a qualified webmaster to check your site. It’s a one-time, or annual cost that ensures your site is as ready for success as you are. You are in the category of site owners that I see get ripped off the most. And I don’t mean a few hundred dollars. I mean thousands. If you set up your own site yourself, or used the 1-click install at the host, and you’re starting to get some traction, get a site audit, get educated, and build your empire on a solid foundation. I guarantee that your site is not secure or performing at peak now. And, your site is at high risk for hosting overages, being hacked, having a Google warning or penalty slapped on it, or losing it entirely. If you are totally hands off, and have no idea what’s going on with your site, you may have no idea how much potential business you are losing because it is not performing well. What you don’t know could be hurting you. Consider a site audit. Think of it as a second opinion. This is especially true if you have a VA or social media person handling your site. Websites are not their mainstay of business. And most don’t know a whole lot about security and performance either. So, what they don’t know may be hurting your business too. To be fair, you wouldn’t think of hiring a webmaster to do your social media, would you? What makes you think it works in reverse? If you have a VA or other assistant that you dearly love to work with, and you want to help them acquire even more awesome skills, introduce them to my Webmaster Training courses. You’ll both benefit. Are you ready for some help? What are you struggling with? Please do leave a comment and let’s chat.